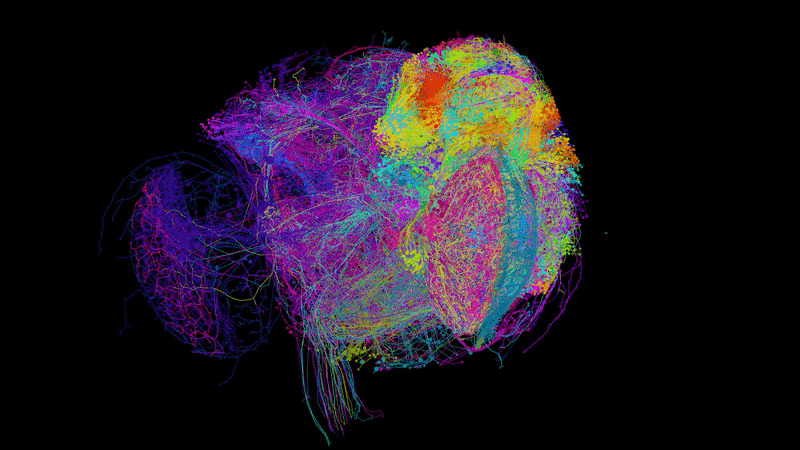 A collection of neurons from the Full Adult Fly Brain dataset. Image credit: EM RECONSTRUCTION OF DROSOPHILA NEURONS BY THE FULL ADULT FLY TRACING COMMUNITY. VISUALIZATION BY PHILIPP SCHLEGEL. Photograph of snake vertebrae and ribs. Image credit: LIDA XING, CHINA UNIVERSITY OF GEOSCIENCES BEIJING (CUGB). A 3-D super-resolution image of a single, living cell labelled with a fluorescent tag from a monkey kidney cell line. Image credit: KALINA TOSHEVA, ROMAIN LAINE, AND RICARDO HENRIQUES. 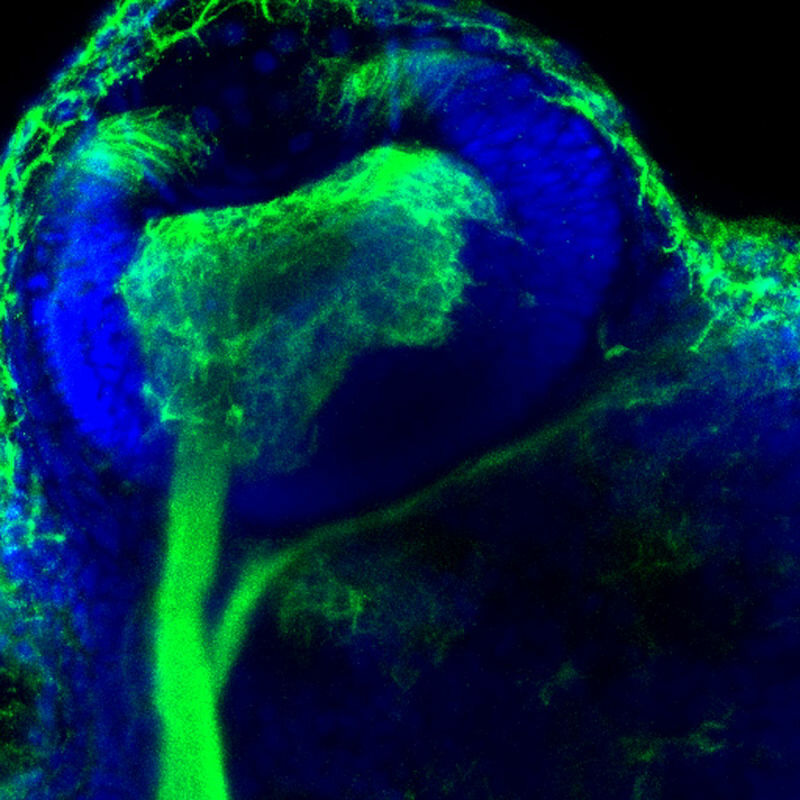 The eye of a zebrafish embryo with an enlarged ganglion cell layer (green). Image credit: DANIEL SUTER/PURDUE UNIVERSITY.